With experience as your County Councillor (2013 – 2017, did not seek re-election), I have a proven track record in putting Haslemere first. 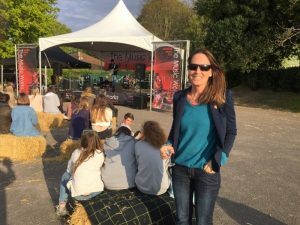 I moved to Haslemere South with my family a decade ago and have engaged with the local community through: school governorship; Haslemere Hockey Club; Fringe Festival; Haslemere Vision; Chair – Haslemere Community Rail Partnership (2016 – ). I was elected as Haslemere’s first Independent Town Councillor in 2017. I will continue prioritising community engagement with openness and transparency. Never afraid to speak up and my record as Haslemere’s first Independent SCC can be seen via the pages of this blog. With a wealth of experience and understanding of local government, I champion good traffic management and child/pedestrian safety as a priority. Get in touch via Twitter, Facebook or e-mail.